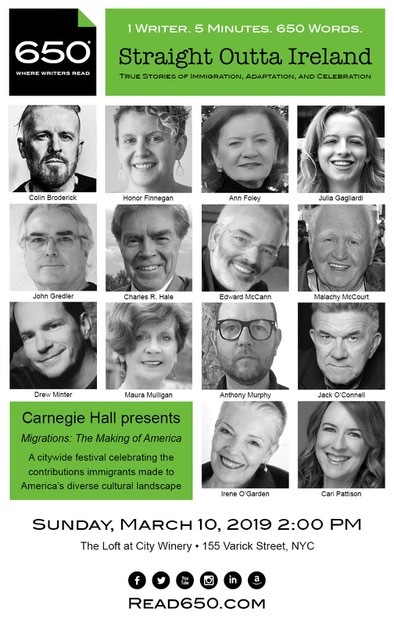 I’m looking forward to presenting “We Are As One, at “Straight Outta Ireland,” which is part of Carnegie Hall’s “Migrations: The Making of America.” March 10th, 2pm to 4pm, The Loft at City Winery, 155 Varick Street, NYC. “Straight Outta Ireland” is an Ed McCann/650 creation. For tickets, which are $25…$30 at the door, click here. Hope to see you there. These are wonderful events and a great way to spend a Sunday afternoon.